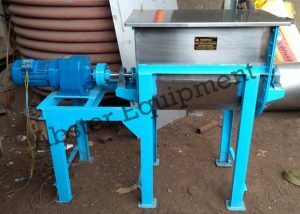 The Industrial Ribbon Blender Machine or say Stainless Steel RIBBON BLENDER is an best efficient and versatile product blending machine for mixing of dry granules & powders homogeneously. 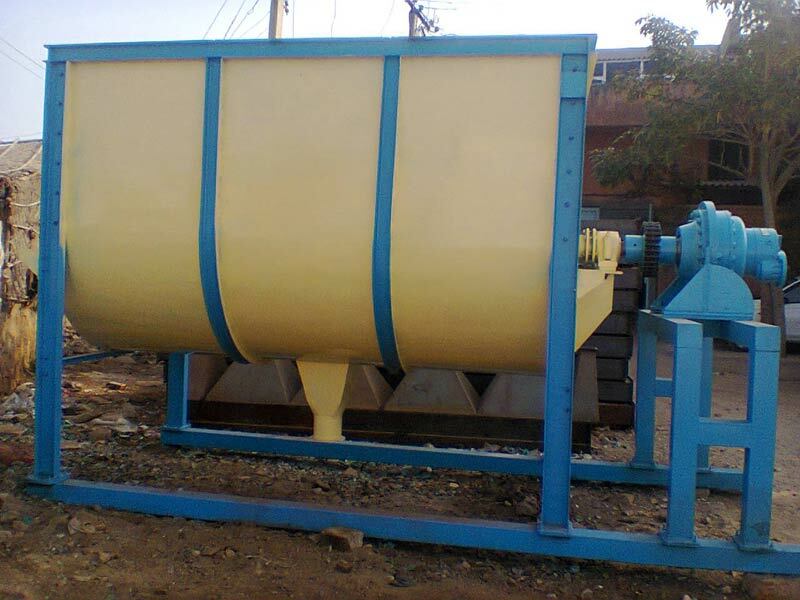 Approx two third of the product volume of the container of Ribbon Blender is filled to ensure proper mixing materials. 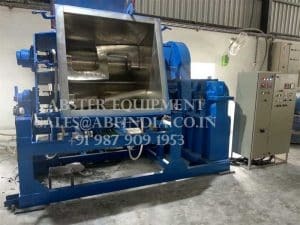 Abster Equipment dry powder Ribbon Blender gives best super result for mixing of product like dry powder & granules due to the design and shape of the materials mixing ribbon and product container. 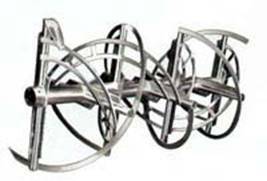 Stainless Steel Ribbon Blender machine the powder moves from centre to the end of container and end of container to the centre of container or bins. Requirement of total mixing time is very less and the RPM required are also very less , The intense mixing movement shortens the time of mixing, faster and more efficiently. Even if the material has a specific gravity. 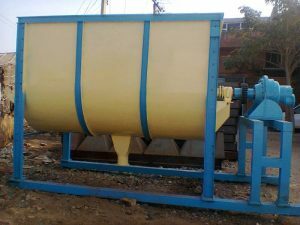 The product material gets sufficient continuous movement due to the U shape & movement of multiple ribbon & U shape of the container, which moves material for good quality of product blending and discharge from bottom. 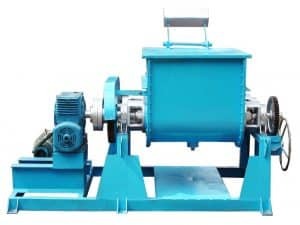 Stainless Steel Ribbon Blender Machine with heavy duty worm reduction gear box with belt drive with motor, blender with couple drive gears to main ribbon for mixer stirring. 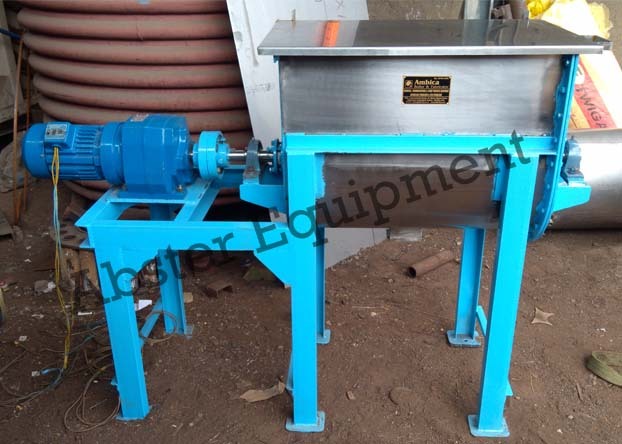 blender Container with Bottom materials discharge valve & Top cover provide. 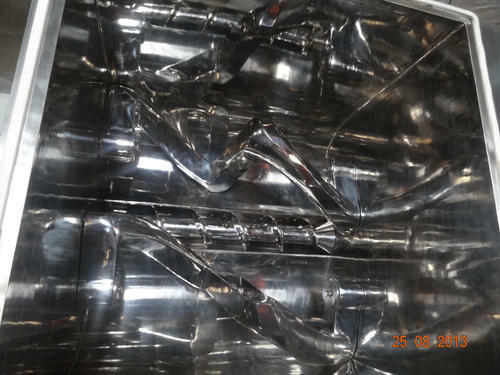 Stainless Steel Ribbon type Vacuum Mixer Dryer is best suitable for materials / products mixing and drying the which can not operate at low Temperature for special nature of products. machine with low Temperature with under vacuum to get best result with minimum time. The Stainless Steel Ribbon blender unit is consist of electrical motor, worm reduction gear, belt drive or heavy duty chain between motor and gear, couple drive between gear to ( ribbon ) mixing stirrer. Product Container having four nos. 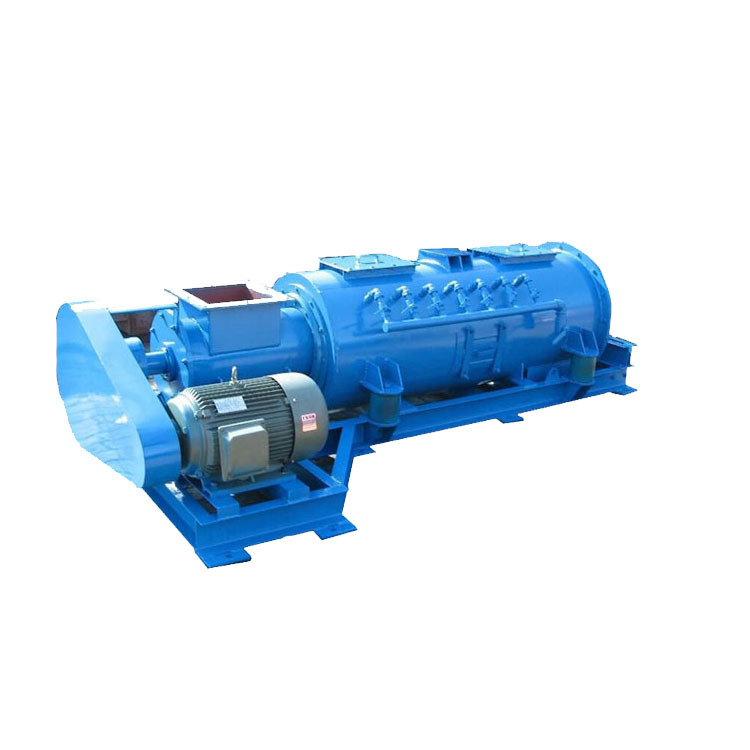 of legs with discharge valve & top cover of machine, Both end of mixing shaft is sealed with bush & PTFE gland housing & safety guards are provided on all moving parts for safety.